A sewer gas smell in your bathroom drains is more than just unpleasant; it can also be a health and safety hazard. 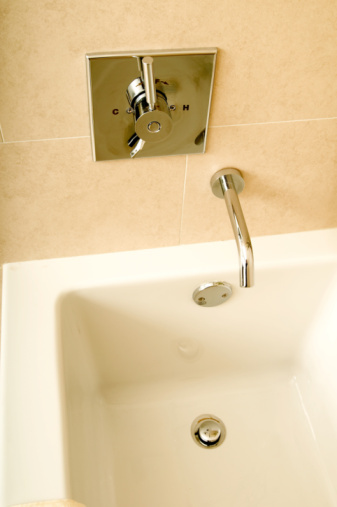 It occurs most often in guest bathrooms that don't receive much use. The water in the drains' traps evaporates and isn't replaced, giving sewer gas free entrance into your home. Get rid of the smell by cleaning the drains and taking steps to keep the traps full. 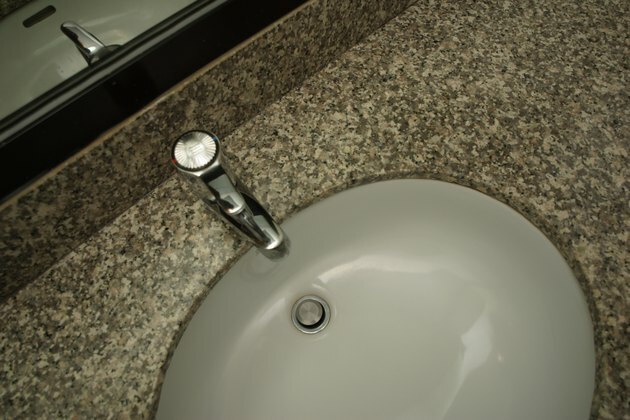 Sewer gas can waft up out of your bathroom drains. Put 1/4 cup of baking soda into the smelly drain. Shake it in so it dusts the upper portion of the drain in a light coating. Leave it alone to work for 20 minutes. Pour 1 cup distilled white vinegar down the drain. Splash it around so it runs over the baking soda. Watch for the vinegar and baking soda to start foaming. Wait 30 minutes for them to work. Boil 3 cups of water on the stove. Watch for the water to roil. Remove it from the stove and bring it to the bathroom. Pour it slowly and steadily into the drain, focusing on removing any lingering bits of baking soda visible on the upper portion of the drain. Make a mental list of all the drains that have smelled like sewer gas in the past. Schedule a new twice-monthly maintenance task for yourself to prevent the smell from returning. Pour 2 cups of water into the drains every two weeks to fill the traps with water and block sewer gas from entering your home. Contact a plumbing professional for help if the sewer gas smell continues to return despite the twice-monthly maintenance.